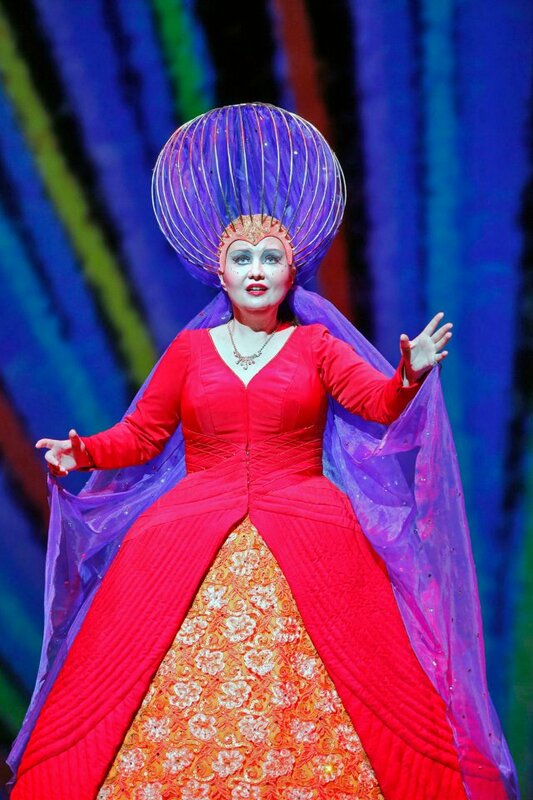 Wednesday night was the opening of The Magic Flute at the San Francisco Opera. This is yet another occasion when I'm glad I'm not a real reviewer. Above is a picture of Albina Shagimuratova as The Queen of the Night. 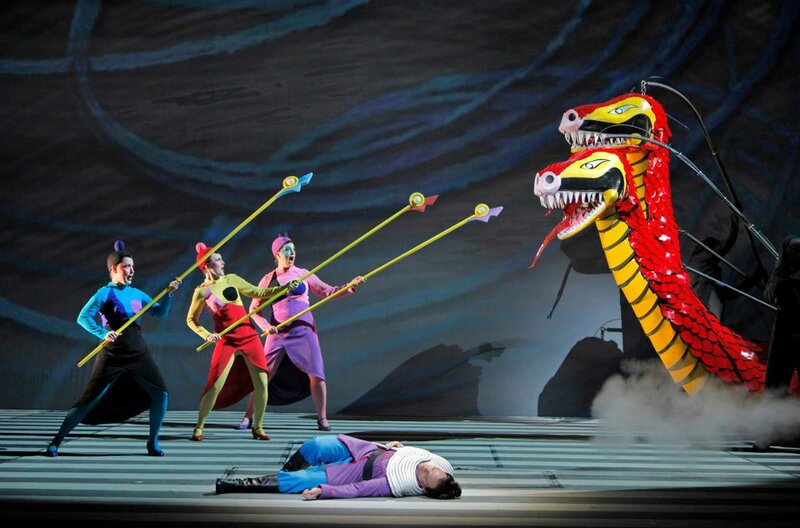 The top is the three ladies slaying the dragon and saving Tamino. A couple of curious facts: the set is computer graphics mostly in colored lines and shapes, such as those behind Albina, and the English translation is by David Gockley himself. Did I want an English translation? Not really. When there is spoken dialog in an opera it is very annoying to teach people to say the lines well. The other side of the coin is that the words and the notes accompanying them never quite gel into a complete musical interpretation. This is especially due to the fact that there is a different translation each time. I liked Albina best. Nathan Gunn was wasted. The director didn't think of anything much for him to do. Nadine Sierra as Papagena had the most charisma. The children's version from the Met may be my favorite Flute. Sigh. As we were leaving the opera house, I heard the words "Giants" announced over the loudspeaker. When I got home, I looked to see what was going on with the Giants and found that Matt Cain had pitched the 22nd perfect game in the history of major league baseball and the first ever for the Giants. San Francisco is such a great city.